Twixl Publisher allows you to produce content apps for tablets fully independently - from design to publishing in the app stores or within a private environment. 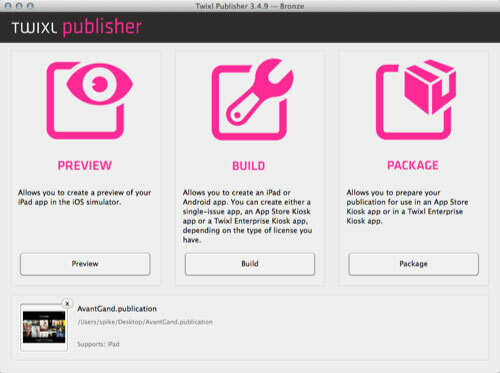 Twixl Publisher is a combination of a stand-alone OS X application and a plug-in for Adobe InDesign CC or CS6 that allows you to create interactive reader apps for tablets. You can either start from existing documents or you can create new documents from scratch. With Twixl Publisher, different types of interactive content are supported, such as photo slide shows, audio, video, HTML5 web viewers and more. 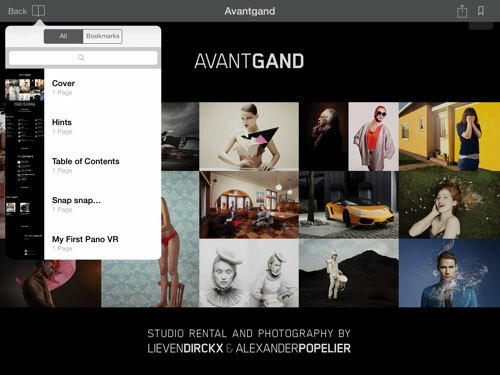 Twixl Publisher allows you to create apps for both the iPad and for Android tablets. Converts a Twixl Publication file to a web reader. Uploads the zipped publication or PDF file to the Twixl Distribution Platform. This requires you to have the Twixl Distribution Platform Admin API enabled for your account.